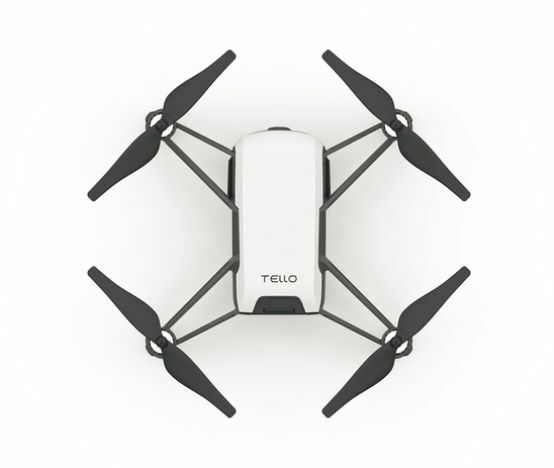 The DJI Tello Quadcopter gives you a top-notch drone-flying experience. It streams high-quality videos while also providing ease of use. With its intuitive controls, you can fly it almost anywhere and anytime. The high-quality components ensure stable and safe flights. The smartphone VR headset compatibility elevates your overall drone experience. The 13 minutes flight time, up to 100m image transmission distance, 720p HD transmission, and two smart switching antennas make this drone a modern-day epitome of technology. With a single tap on the screen, it performs incredible tricks such as Throw and go, 8D flips. The top-notch image processor and EZ shots allow you to record and share pro-level videos through your smartphone. Plus, with a deadly combination of robust hardware and efficient software, this Tello drone is safe for use. It gets you involved completely, thanks to the programmable Tello with Scratch. It is a coding system that is set to get you engaged and accustomed to software applications of Tello. The DJI quadcopter drone is all set to captivate your imagination with an incredible array of features. This Tello drone starts flying by simply tossing it into the air. The slide on the screen lets the drone perform magnificent aerial shots. The Bounce mode enables the drone to fly up and down from your hand. The DJI drone records videos of the highest order, thanks to its image processor. With EZ Sots, you can record and share videos from your smartphone. This 5MP DJI drone, with electronic image stabilization and Intel processor, captures incredibly clear videos. This Tello drone, with collision detection and propeller protection, is safe for use. Plus, features like lightweight design, auto takeoff/landing, low battery protection, failsafe protection, and vision positioning system make this drone a perfectly reliable choice for you. 95% of users recommend this product to a friend. The drone itself is amazing but the laws in UAE make it tough to fly it outdoors. Apparently one needs to have a licence to fly any type of drones. If caught flying the drone will be taken and one will be fined. 1) Quick Delivery (within 12 hours) 2) Sellers Products has always been the best no doubt. 3) DJI Product is good as expected, just that it heats up very quickly, u get what you pay for? so its fine. works smooth and im using MI WIFI Repeater 2 to fly this drone. Heats up.. camera is fine & video is fair - like i said you get what u pay for.